One of the benefits of CPT membership is access to a range of services developed specifically for the passenger transport industry. Last week, CPT launched a further addition to their service portfolio with CPT Tacho Analysis, a comprehensive tachograph analysis system in partnership with TruTac, the UK’s largest independent analysis company, based in Coventry. 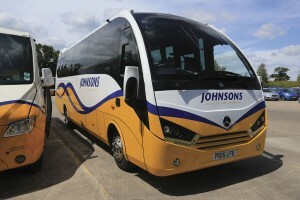 The product launch was hosted by Johnson’s Coaches at their modern Henley-in-Arden premises, the company having implemented the TruTac system around three months ago. Welcoming attendees at the launch, Commercial Director, John Johnson, said the company was already seeing benefits from the system in supporting their standing as a very reputable company which did things properly. He was pleased with the simplicity of the system in use and the delivery of timely outputs that drivers can understand, supporting their ongoing coaching programme. TruTac’s commitment to ongoing product development was also key to Johnson’s Coaches’ choice of the product with John looking forward to the day when all driver related systems including walk around checks are phone based. Peter stressed that this was a bespoke service for PSV operators with discounted costs for members, these being up to 20% for digital analysis and up to 10% for analogue analysis. CPT will be promoting the system through a communications campaign and presentations at regional meetings. The CPT Tacho Analysis software package includes complete web-based digital and analogue tachograph analysis supporting EU and GB Domestic Drivers’ Hours & Rest Time Rules (including Working Time Directives). 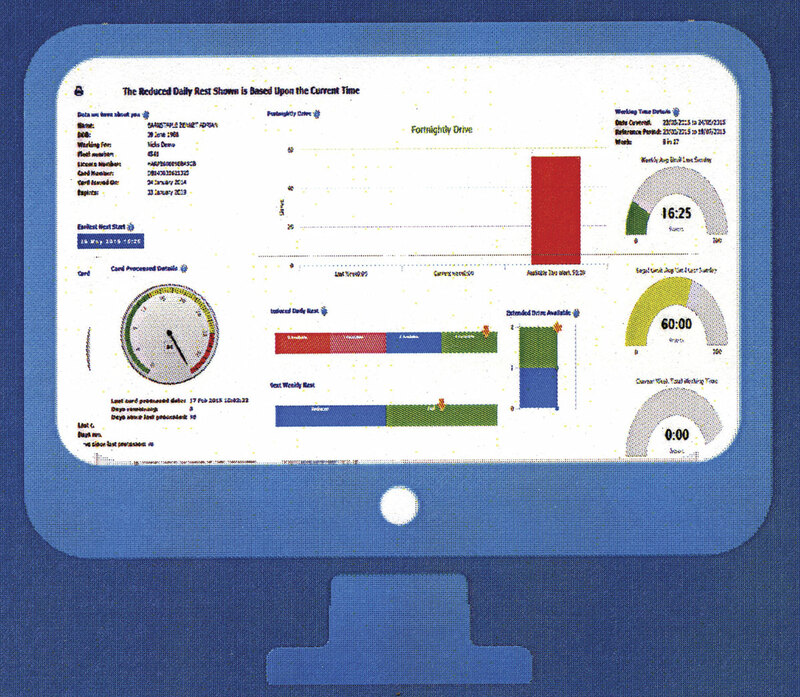 The cloud based system provides instant access to clear and concise compliance data including manager and driver dashboards with KPI reporting. 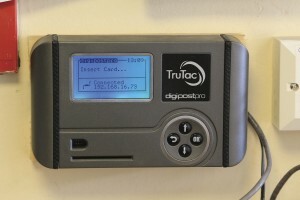 TruTac offers free data storage, upgrades and support. Timeliness is of the essence with data card readers for daily downloading of drivers’ digital records and scanners for analogue charts (which are then retained by the driver for 28 days). Remote and drive by downloading of digital data is supported. Reporting on digital only data is immediate and there is a 48hour target for analogue and mixed records meaning compliance issues are identified whilst activities can be expected to be still fresh in drivers’ minds. Reporting can be tailored to head office, region, site and depot level with automatic email generation and web based access available. The web based access presents the users with a series of apps for reporting and includes features such as comparisons with the UK average infringement levels. Driver debriefing can be through one of the apps or by printed reports customised to the company. The system’s driver debriefing module can be linked to the company’s HR policy in respect of training and disciplinary issues. Drivers can log on to their own area of the system which will show only their duties and give feedback on a range of values including daily rest status, earliest next duty start and working time directive compliance. Operators who select CPT Tacho Analysis can have it up and running in one to two weeks during which time TruTac will learn about the business and its requirements. Timing may also be subject to the installation lead time of appropriate technology where this does not currently exist. A TruTac support line is available from 08.00 to 18.00 Mondays to Thursdays and 08.00 to 16.00 Fridays, with an emergency contact service outside of these hours. A leader in the field of tachograph analysis and compliance, TruTac has been established for 20 years. It currently supports around 3,000 PSV and HGV fleets with its TruControlV8 system, numbering VOSA amongst its customers. It analyses some 10m records annually. The company is committed to the continuous improvement of its products and the development of complimentary packages to provide additional functionality. Alongside TruControlPSV on which CPT Tacho Analysis is based, it offers: TruChecks, a mobile device based daily vehicle check system; TruLicence, an online driving licence checking service and TruTime, a web based system for time, attendance and HR records. Acquisition of the Whittles coaching operation at the end of 2014 has brought Johnson’s Coaches the challenge of managing two distinct operating bases for the first time in more than a century of operation. The integration has gone well with John Johnson impressed by the commitment of the staff who transferred from Whittles. The installation of the TruTac system has enabled compliance at the Kidderminster site to be monitored remotely and the depots can be benchmarked against each other. Investment in the Johnson’s Coaches fleet during 2015 will add 12 new vehicles from mini coaches to double-deckers. There was time for a quick inspection of a recently delivered Unvi Voyager featuring 29 leather trimmed seats in its high specification interior and a new EVM mini coach was used as a shuttle vehicle for the launch attendees. 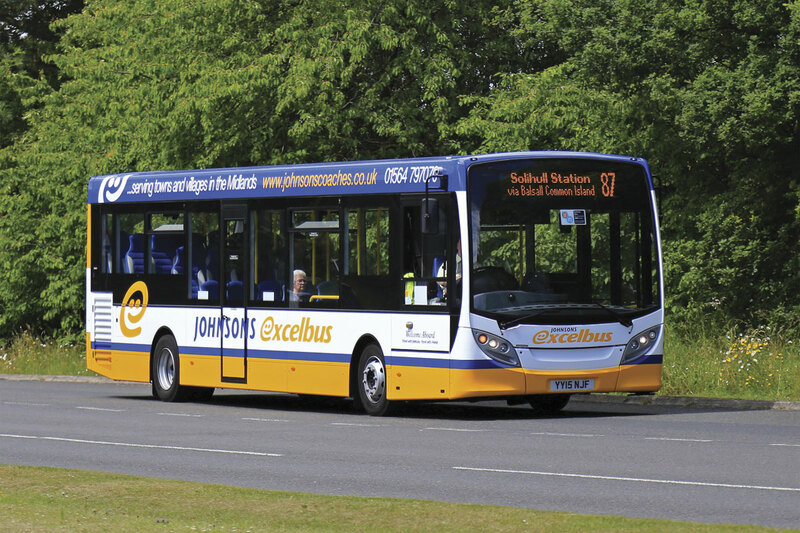 ADL products have featured in recent orders, including a Volvo based Plaxton Panther for Whittles and three E-Leather trimmed ADL Enviro200 Euro5 single-deckers with three Enviro400 double-deckers to follow. 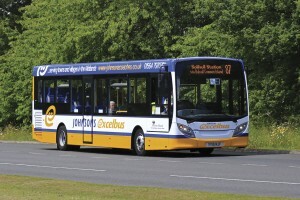 The Enviro200s had arrived the previous day and went straight into service on the company’s 87 service between Solihull and Coventry. By quoting their membership number, CPT members can contact TruTac directly to obtain further information on CPT Tacho Analaysis.